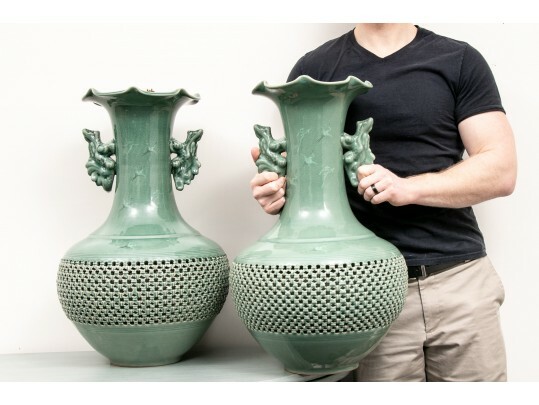 Pair of very large signed Japanese celadon reticulated two-handled vases with a baluster shape, pierced body with a basket weave pattern and tall neck with scalloped mouth. Vases are decorated with cranes in flight, moulded dragon forms as handles issue from the neck. Quite stunning and dramatic pair of vases! Dimensions: 15" wide x 25" high.